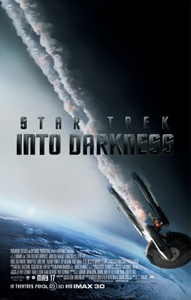 I’m definitely NOT a Trekkie, but loved Star Trek Into Darkness. Action packed with enough humor to break the tension, this movie is a must see. After an act of domestic terrorism, the Starship Enterprise crew pursues a madman (or is he just a man who is misunderstood?) across the galaxy. With plot twists and amazing special effects, this movie will keep you on the edge of your seat! 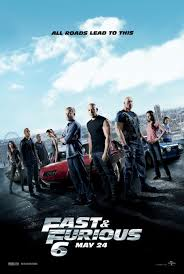 Dom (Vin Diesel), Brian (Paul Walker) and the crew are back! The outlaws become the good guys after they’re recruited by Agent Hobbs (Dwayne Johnson) to find a gang of mercenaries. Fast & Furious 6 was a fun movie! I would never call it a work of art, but it was entertaining, action-filled and had one of the best chase scenes I’ve ever seen. Enjoy yourself by putting aside the laws of physics and seeing this movie!